 Believing that Forster (1879-1970) wrote ``five of the greatest novels in our language,'' Beauman (A Very Great Profession--not reviewed, on women novelists) argues that they are the product of his long period of sexual repression, that finding ``sexual happiness'' at age 40 put an end to his fiction, turning him into a journalist, a sage, an academic, and a ``Closet Queen'' who spent his latter years in an extended furtive relationship with a bisexual married police officer. Relying on what she calls an ``intuitive'' method, reading the life in the works, admiring Forster's ``feminine emphasis on the domestic and the unpolitical,'' Beauman reduces the dignified, reticent, private, aloof, and impersonal Forster to a sexually starved, mother-dominated, somewhat ridiculous victim of his own imperfectly understood instincts. Preferring the cozy ``Morgan'' to the usual ``Forster'' (all other writers are granted the more respectful and adult Christian name--Eliot and Lawrence, for example), Beauman claims that all of Forster's fiction (Howard's End, A Room with a View, A Passage to India) can be reduced to the search for sexual fulfillment and for an ancestral home. She captures this sense of place by naming chapters after where he lived or the titles of his novels. Although Forster himself disavowed the possibility of relating his public life to the ``deep well,'' the underworld where fictions are generated, and believed that the study of literature--as opposed to the experience of it-- is mere ``gossip,'' Beauman finds meaning everywhere: in Freud, in Uncle Willy's predilection for little girls, in the fact that Oscar Wilde was on trial while Forster's mother was on her honeymoon, and in Anthony Stork's theory of creativity. To compensate for a lack of substance, she depends stylistically on the emphatic hypothetical: ``must have thought,'' ``of course,'' ``It is likely, indeed,'' etc. In the occasional third-person reference to herself as ``the biographer,'' Beauman states that she does not ``find all this detail about lust distasteful,'' but rather ``uninteresting.'' 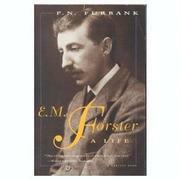 Forster demands a great deal of his biographers. For all her familiarity with the life and works, Beauman's approach, tone, and style are simply inappropriate.